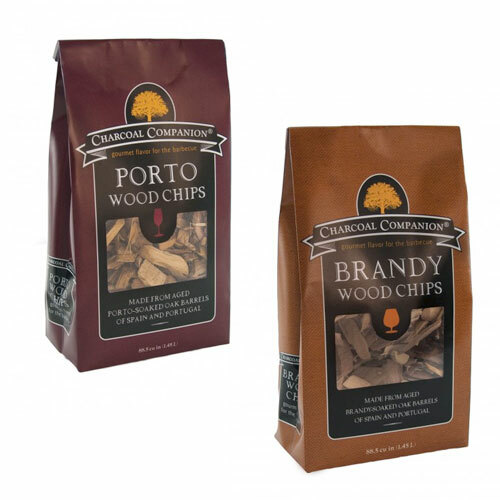 Brandy & Porto Spirited Oak Wood Chips | Patio and Hearth Co. These spirited wood chips are made from soaked barrels of French, American and European oak used in the great wineries of Spain & Portugal for producing wines & spirits. They provide an intensely rich flavor perfect for smoking all of your favorite foods on both charcoal and gas grills. Inquire about Brandy & Porto Spirited Oak Wood Chips using the form below.